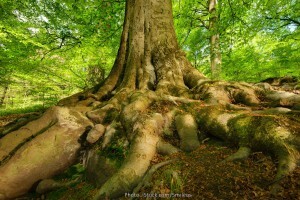 Did you know that Charles Darwin recognised the importance of the plant root system? And that his son Francis Darwin successfully continued the research he embarked on with his father after the latter’s death? Both of them experienced the opposition of leading botanists. As has happened so often in the history of science, important insights were then buried deep in the ‘treasure chest’ and had to wait to be brought back to life after their very long sleep. And above all: to be taken seriously. The interest in scientific research on plant physiology has been reawakened in recent decades and its results are beginning to filter through to public awareness. The time is ripe for focusing on something that accounts for most of the life on our planet: plants and their myriad senses. Plants can see, hear, taste, smell and feel in their own way. Moreover, as Professor Stefano Mancuso explains, they have at least 15 other senses: “For example, they can perceive and calculate gravity, electromagnetic fields and moisture, and they can analyse the concentration gradient of numerous chemical substances.” Plants communicate through chemical molecules with neighbouring plants and interact with insects and other animals. 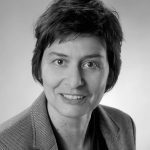 Mancuso, who participated in experiments on the European space shuttle programme and whose work was represented at the Expo in Milan in 2015, is a renowned expert in this area. 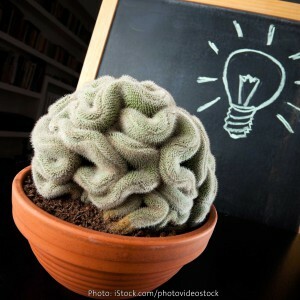 His credo is that if we understand intelligence as the capacity to solve problems, the way plants behave in response to life’s difficulties is not only intelligent, but ingenious. They respond suitably to environmental stimuli, ‘know’ what is good for them, help the other members of their species and interact with their environment through the mutual exchange of essential substances. Moreover, researchers have now proved that plants develop certain behaviours not only as soloists but also as groups – ‘swarm intelligence’ as it is known in the animal kingdom. To avoid any misunderstandings here: Mancuso’s insights are not those of a ‘plant whisperer’, they are based on verifiable experiments. For example, two plants were placed several metres apart from each other and one of them was deprived alternatively of water, oxygen and minerals. The other plant, which continued to enjoy an abundant supply, began to save these provisions – so to speak in the expectation that the resources in question were becoming scarce. But how did the plants manage to communicate with each other, as their roots were not able to establish a connection? Mancuso explains in an interview that in this case the plants communicate through smells, so-called biogenic volatile organic compounds (BVOCs). “We now know that out of the millions of such BVOCs that exist, around twenty play a role in these messages. We assume (…) that we will not arrive at a single signal in the end, but will encounter different combinations of them.” The fact that Mancuso’s concept of intelligence goes too far for many botanists does not alter the fact that his research clearly involves the decoding of a plant language. Since the 1990s, researchers all over the world have set about studying the underground exchange processes for individual species of trees, crops like tomatoes and beans, and orchids in specialised projects. Suzanne Simard studied the exchange of carbon between trees and succeeded in establishing that trees that stand in the shade and have too few nutrients receive carbon from ‘donor trees’. Meaning, trees help each other to survive. 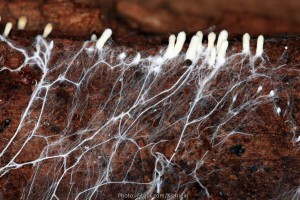 In her studies, Simard identified so-called ‘hub trees’, figuratively speaking ‘mother trees’, which act as distribution centres in the soil and infect young plants with the fungus (thereby connecting them to the network), and then supply them with the nutrients they need to grow via this system. The fungal network helps not only with the exchange of nutrients, but also in protecting the plant against pests and disease. Research teams have discovered that a plant can be warned by other plants and build antibodies before being infected by the corresponding disease or pest. The plants that received the advance warning actually had considerably better and quantifiable resistance. However, there is another side to this coin – plants that ‘rob’ others because they are unable to carry out photosynthesis themselves; and trees that provide substances that make it more difficult for other plants to grow near them. Darwin’s conviction that something akin to the brain in lower animals is found in the plant root was one of the last things he wrote about. His son became one of the first professors of plant physiology and posited that plants are intelligent organisms. His hypothesis elicited a strong response and indignation! Therefore, his insights had to wait until today – until science had the technical means available to it, for example to record images using electron microscopes as fungus expert Stamets does.